t2z - the tOkKa bootlegz :: L.S. SLASH i | Flickr - Photo Sharing! 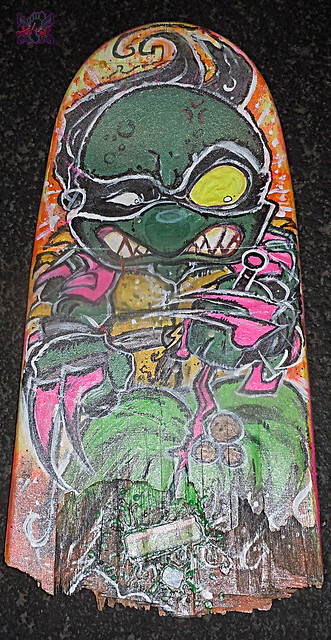 -->> Reclaimed, retired, skateboards usually around 8 x 16 1/2" - but the uneven variables on when they were broken means some half-board canvases are going to be larger or shorter than others.